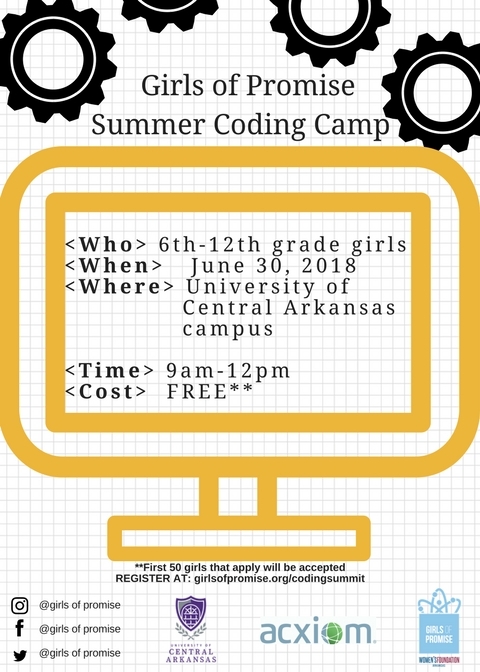 On June 30th, we will host our 2018 Girls of Promise Summer Coding Camp on the campus of University of Central Arkansas in Conway. 50 girls grades 6-12th will be in attendance from across the state. Girls will be able to learn how to code or improve their coding skills with the help from volunteers from Metova, Acxiom, and the Arkansas Coding Academy.